I decided not to go down the Easter card route but to focus on these bright colours and patterns. CAS(E) this Sketch provided the inspiration for my lay out. I really wanted to use my 'explosion' stamp from Uniko Studios for this sketch but it took me ages to hunt through my stamps to find other stamps that I thought would compliment it. The ones I have used are actually from vintage Christmas Ornament stamps! I heat embossed the sentiment from CAS-ual Fridays Stamps. I think this makes for a fun card that would be good for a geeky friend or, come to think of it....my geeky husband! This week we are lucky to have the very talented Bonnie joining us as our Guest Designer and A Random Fan as our sponsor-check out their fab store here. Our DT have some super inspiration for you and you can find this on our blog here. 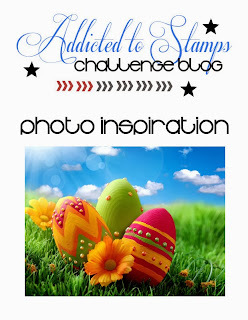 Take a look, be inspired and then get stamping! Way to combine your stamps sets...this is so cool (wicked!) Love it Sandie. Love this Sandie - you've chosen perfect word to go with the explosion and it looks great in those colours. This is a new stamp range to me - thanks for the link , will take a look. I think this isa great design for a teenager as well, and I love your ability to make clean AND colorful cards! 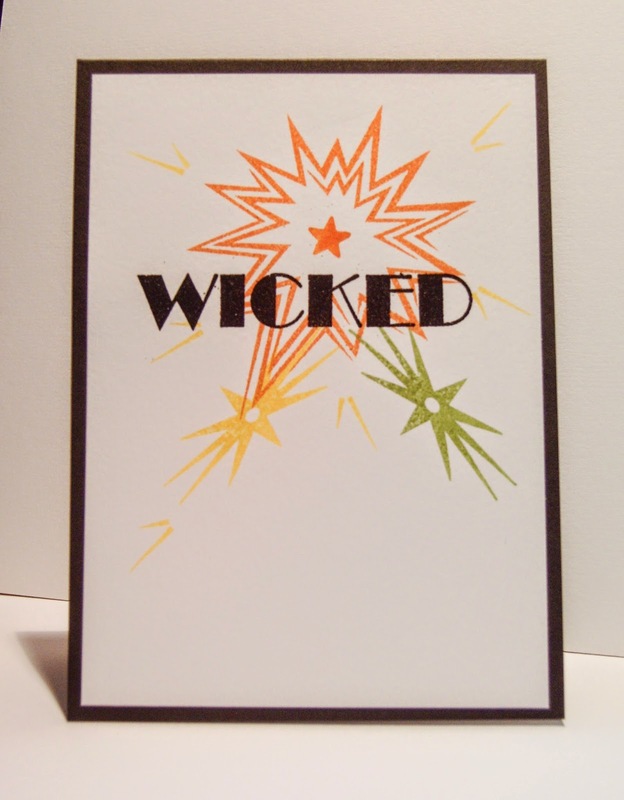 A "wicked" explosion of awesome here, Sandie, with your clever stamping and colour combination! Your 'geeky' husband would love this, as do I! Fabulous! What fun, Sandie! I love these bright colors! Thanks so much for asking me to be the GD! I have so enjoyed being a part of your team! Such a lovely group! I do like your card - so bright and vibrant! Such a fun sentiment. You're right too - perfect for a geeky friend - a bit like me! Wicked CAS card ;) Love the colours! Wickedly fun take on the sketch! Thanks for joining CTS this week!